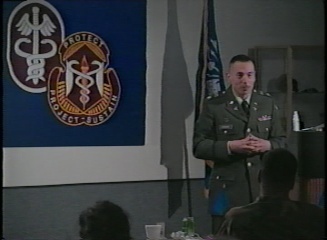 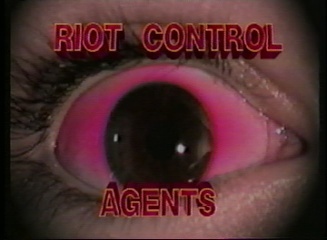 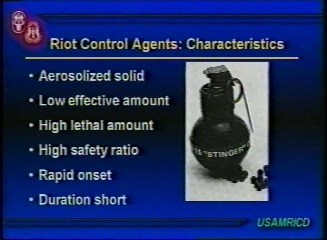 Riot Control Agents: Medical Management of Chemical and Biological Casualties was produced by the Department of the Army in 2000. 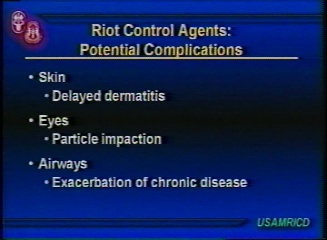 This DVD describes the history, classification, physicochemical properties, toxicokinetics (absorption, distribution, biotransformation, and elimination), toxicodynamics (mechanism of action), pathophysiology, toxicology, and clinical effects of riot-control agents. 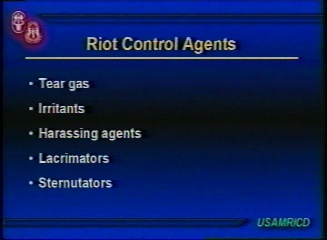 This DVD will give you a really good understanding of all the common riot control agents in use and their effects and hazards.